Houston Baptist University has recruited atheist-turned-Christian Lee Strobel, the former award-winning legal editor of The Chicago Tribune and New York Times best-selling author of more than 20 books, to join the faculty of the Department of Apologetics in the University’s School of Christian Thought. Described in the Washington Post as “one of the evangelical community’s most popular apologists,” Strobel became a Christian in 1981 after a nearly two-year investigation of the evidence for Jesus. Beginning in 1987, he served on the staffs of Willow Creek Church in South Barrington, Ill., and Saddleback Church in Lake Forest, Calif., before shifting his focus to writing. In 2005, Strobel shared the Christian Book of the Year award for a curriculum he co-authored with Garry Poole about the movieThe Passion of the Christ. He also won Gold Medallions for his books The Case for Christ, The Case for Faith and The Case for a Creator, all of which have been made into documentaries distributed by Lionsgate. Strobel, who holds a Bachelor of Journalism from the University of Missouri and a Master of Studies in Law from Yale Law School, also is co-author of the Becoming a Contagious Christian course, which has trained more than a million Christians to naturally and effectively talk with others about Jesus. His articles have been published in a variety of magazines, and he has been interviewed on numerous national radio and TV programs. The recruitment of Strobel is just the latest in a string of recent hires designed to strengthen the School of Christian Thought at HBU, which also includes Nancy Pearcey, who The Economist has called “America’s pre-eminent evangelical Protestant female intellectual,” and Jerry Walls, author of more than a dozen books, including Good God: The Theistic Foundations of Morality, which won the 2012 Christianity Today Book Award in the Apologetics/Evangelism category. HBU is also home to three of the best known scholars in C.S. Lewis studies, including Dr. Michael Ward, who was hired recently to direct the University’s new C.S. Lewis Centre in Oxford, England. For adding these and other acclaimed Christian scholars to its faculty and launching new graduate programs in philosophy and apologetics, the University was ranked fourth on a list of the “Top 15 Colleges for Studying the Bible” compiled earlier this year by the editors of thebestschools.org. 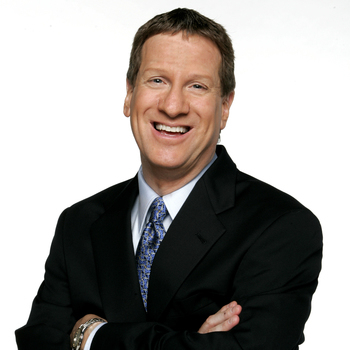 For information on how to book Lee Strobel for your next event, visit PremiereSpeakers.com/Lee_Strobel.